April | 2010 | let's go pinas!! Among the many Pinoy pastries, the tender and sweet pastillas de leche or simply put, pastillas are worth the bite and more. It used to be that as a child, I would buy by the dozens these two inch, almost candy-hard pastillas, delicately but simply wrapped in white paper. I am not quite sure if such pastillas are still being manufactured until today. But then I realized that there is another way of creating and presenting these pastillas. Such can be soft, chewy, sugary concotion where fresh carabao milk is incorporated. And definitley, these pastries should please those who have the proverbial sweet tooth. 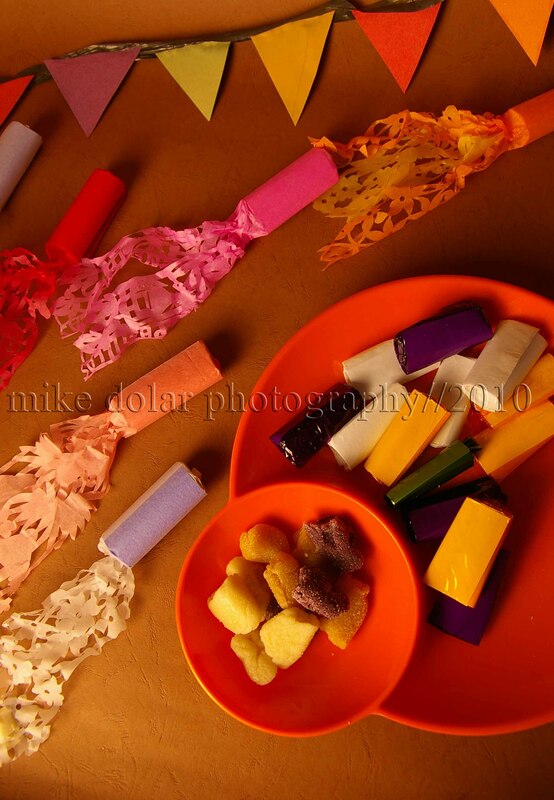 And if lucky enough, one may partake the ones wrapped in the most interesting and most elegant manner – direct from the pastillas corner of the Philippines – San Miguel, Bulacan. These specially made pastillas from the last town of Bulacan, just before Nueva Ecija, are beautifully packaged in Japanese paper, which has a tail, almost similar to the ones of a traditional Filipino Christmas Lantern (parol). Take a look at the tail, and be at awe with the delicate cut-outs which reveal a dainty lace design. It is almost tempting not to open the “pabalat” (wrapper) itself as the wrapping is just too pretty to waste. But then one just has to give in to taste more of that creamy pastillas! It is said that the tradition of creating these pastillas wrappers dates back probably to early 20th century, and the folk art has been passed on through the generations. Alas, today, as there are less people (usually ladies in their 70s and 80s) who are adept in doing the intricate cut-outs, one needs to find a specialty shop in San Miguel, Bulacan to preorder the pastillas (now in different flavors such as keso (cheese) and ube (purple yam) and be astonished by the taste and the sight of these native sweets. You may want to order a box and proudly present it to a loved one from Aling Nene’ s Pastillas Shop. Just call Erwin at 0905-791-1123. If we can only be youngsters again. Summertime should be fun for kids as there are no pressures of schoolwork to think about. For some, it is time to just hang around in neighboring houses or just laze around their own homes, watching tv or just be lost with their console games. But for toddlers and prepubescent residents of Quezon City, there is much more for them if they visit Quezon Memorial Circle. In a significant portion, at the north section, (across Philippine Coconut Authority Building) of the area, park management has recently provided a safe haven for them to enjoy. There, kids and their families will be delighted by the brand new, imported, and most importantly safe (all in durable plastic) playground sets. Each set is different from the other. 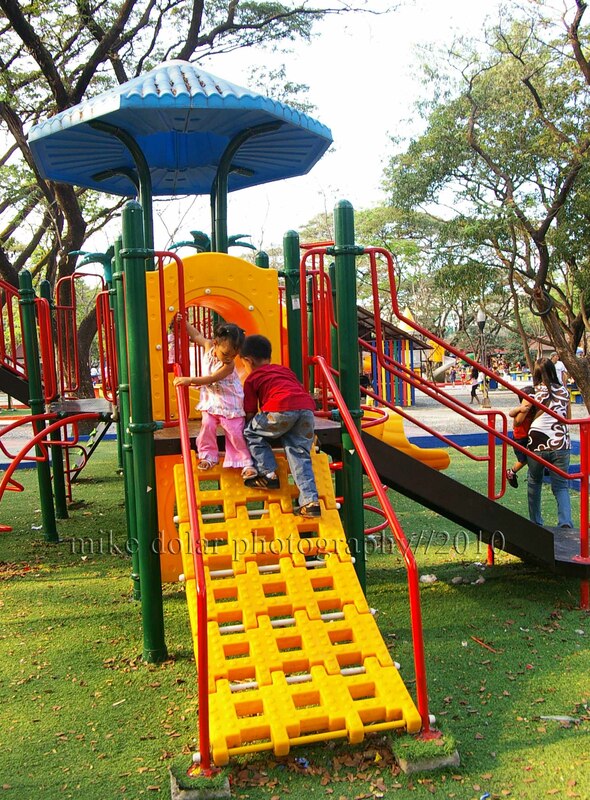 Twisting slides, challenging jungle bars, thrilling swing sets, all in different vibrant colors and motifs, tempt such children to sample and actively participate in getting rugged without harming themselves. 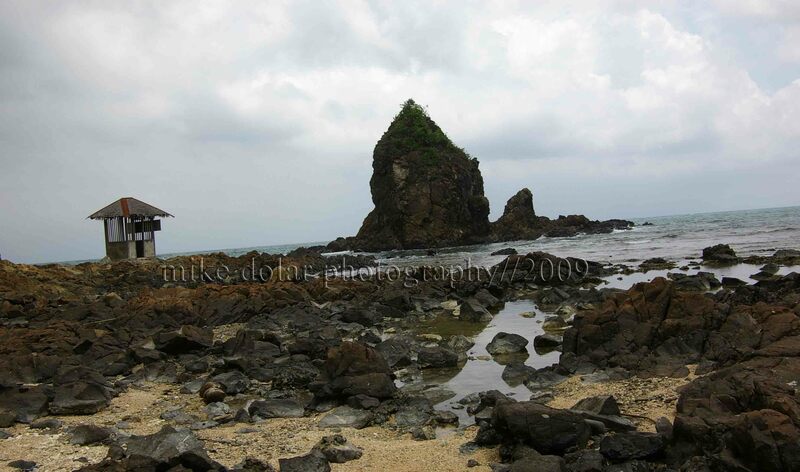 It is a nice place just to past the time, and to take some nice pictures of the young, being carefree. And the best thing about it – no admission charge.